The 2018 Rolex Sydney Hobart Yacht Race concluded on 31 December 2018 with the final prizegiving held in Hobart, Tasmania. Of the 85 yachts who started the 74th edition, 79 completed the 628-nm race and there were six retirements. Recipients of Rolex timepieces were Alive as overall race winner and Wild Oats XI for line honours. The achievements of all class winners were recognized as were the personal and collective achievements of the sailors and crews in finishing this revered and grueling offshore race, one which is embodied by a true Corinthian spirit. Rolex has been Title Sponsor of the 628-nm race, organised by the Cruising Yacht Club of Australia with the collaboration of the Royal Yacht Club of Tasmania, since 2002. UPDATE Dec 29: ALIVE, a 66-ft Reichel/Pugh design owned by Phillip Turner, has been announced as overall winner of the 2018 Rolex Sydney Hobart Yacht Race on corrected time. Rolex World of Yachting video: ALIVE, a 66-ft Reichel/Pugh design owned by Phillip Turner, has been announced as overall winner of the 2018 Rolex Sydney Hobart Yacht Race. The fifth yacht to finish this year's race, Alive prevails from an 85-strong international fleet. Alive becomes the first Tasmanian yacht to win the race since 1979 and the fourth winner from the island since the inaugural race in 1945. Turner and his crew were rewarded for their historic success with the Tattersall Cup and a Rolex timepiece at a presentation held on Constitution Dock. Rolex has been Title Sponsor of the 628-nm race, organised by the Cruising Yacht Club of Australia with the collaboration of the Royal Yacht Club of Tasmania, since 2002. Dec 29, 2018--Following a protest against Wild Oats XI by the Race Committee of the Rolex Sydney Hobart Yacht Race, which was held by the International Jury at Royal Yacht Club of Tasmania today, it was found that the protest was invalid and so Wild Oats XI retains her line honours crown. Rolex World of Yachting video above published Dec 28, 2018: A thrilling contest for 2018 Rolex Sydney Hobart line honours went down to the wire with the fleet’s remaining four 100-ft Maxis offering a compelling spectacle and finishing within 42 minutes of each other. Having assumed leadership of the 628-nm race shortly after 04:00 AEDT on the second morning, Wild Oats XI extended her advantage down the Derwent River to cross the Hobart finish line in first place. Owned by the Oatley family and skippered by Mark Richards, Wild Oats XI extends her record number of line honours victories to nine. Peter Harburg’s Black Jack finished second on the water prevailing from an epic duel with last year’s line honours winner Comanche. The gap a mere 63 seconds. The spotlight now turns to who will claim the Tattersall’s Cup and Rolex timepiece as overall race winner. 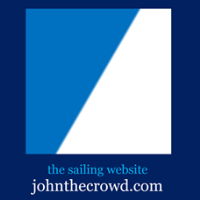 See also CYCATV RSHYR 2018 Line Honours Finish Live Stream Video REPLAY. Thirty hours into the 74th edition of the Rolex Sydney Hobart Yacht Race, the four 100-ft Maxis at the front of the fleet were separated by a mere five-nautical miles with a little under 200-nautical miles still to complete. A close contest between the race leaders has ensued ever since yesterday’s memorable Sydney Harbour start. Although the race record is unlikely to be challenged, an exciting finale down the Derwent River into Hobart is forecast. There had been four retirements and the majority of the 81-strong fleet were negotiating the Bass Strait. Rolex has been Title Sponsor of the 628-nm race, organised by the Cruising Yacht Club of Australia with the collaboration of the Royal Yacht Club of Tasmania, since 2002. Rolex World of Yachting video above published Dec 27, 2018. See also Rolex World of Yachting video published Dec 26, 2018: The 74th Rolex Sydney Hobart Yacht Race -- a diverse fleet of 85 yachts are contesting the 2018 edition of this famous 628-nautical mile offshore race. Of the five 100-ft Maxis set to contest line honours it was Peter Harburg’s Black Jack who made the most impressive start as first yacht to clear Sydney Heads leading Wild Oats XI, InfoTrack and Scallywag with race record holder Comanche forced to recover ground. A tactically intriguing contest lies ahead with variable conditions forecast and the chances of the race record being broken for the third year running appearing unlikely. The chase for the race’s most coveted prize, overall victory on corrected time, rewarded with the Tattersall’s Cup and Rolex timepiece, is wide open. Matt Allen’s Ichi Ban is among the yachts in contention and attempting to become the first yacht since 1965 to win back-to-back titles. Rolex has been title sponsor of the race, organised by the Cruising Yacht Club of Australia, since 2002. Race Start LIVE Replay -- 1300 AEDT on Boxing Day (Dec 26, 2018) -- 9pm EST Dec 25, 2018 (US). Video via CYCATV, see also LIVE Twitter feed below. Long range weather forecast Navigators Press Conference (video published Dec 20, 2018). Potential Line Honours Press Conference (video published Dec 24, 2018). The Rolex Sydney Hobart Yacht Race is one of the most famous yacht races in the world. Starting each year on 26 December, it is an examination of the preparedness and resilience of man and machine. Organized by the Cruising Yacht Club of Australia, in collaboration with the Royal Yacht Club of Tasmania, the 628 nautical mile offshore race stretches physical and mental resources to their limits. The overall winner of the Rolex Sydney Hobart receives the Tattersall Cup together with a coveted Rolex timepiece, the recognised reward for excellence and a deserved prize for those that overcome not just their opponents, but nature too. 2018 marks the 74rd edition with over 90 yachts entered, including 13 from overseas. The Rolex Sydney Hobart Yacht Race 2018 start: 1300 AEDT Dec 26, 2018, which is 9pm EST on Dec 25, 2018 in the U.S. See the LIVE Tracker. An Offshore Classic: The 73rd edition of the Rolex Sydney Hobart demonstrated once again why this offshore race has such elevated standing in the yacht racing and, indeed, sporting world. 102 yachts took part, each with their own personal ambition. For the vast majority, winning overall was the ultimate goal. Only one boat can claim the main prize. It takes planning, commitment and skill to succeed in the pursuit of excellence. Matt Allen and the crew of Ichi Ban delivered those characteristics and were justly rewarded with the Tattersall Cup and Rolex timepiece. For the other competing crews, their triumph was to start the race at all. Completing the course was the icing on the cake. The 2018 Rolex Sydney Hobart Yacht Race starts from Sydney Harbour, Australia--the warning signal for the race will be signalled at 1250 hours AEDT (Australian Eastern Daylight Saving)--on 26 December 2018. VendeeGlobeTV video above published Dec 18, 2018. More information: vendeeglobe.com. Next edition starts 12:02 UTC, Sunday, 8 Nov 2020. North Sails video above published Nov 1, 2018: François Gabart has worked together with North Sails for nearly ten years. He has broken numerous speed records using North 3Di, including solo around the world which he completed in 42 days, 16 hours, 40 minutes and 35 seconds. François Gabart's Ultim Trimaran Macif is one of six yachts racing in the 2018 Route Du Rhum. He and the fleet will depart St. Malo, France on November 4th. Their destination? Guadeloupe. Their sails? North 3Di. In this video, François Gabart stresses the importance of the sailor, design team, boat builders and sailmaker working together on one goal, winning. Volvo Ocean Race video above published Dec 16, 2018: After the most intense Race ever, the boats are all ready for another lap of the planet – and Head of the Boatyard, Neil Cox, shows us around the Volvo Ocean Race Boatyard facility in Lisbon, Portugal, and talks us through the future. The SSL is a circuit created by sailors for sailors. It is born from a desire to offer sailing champions a simple, well priced and efficient platform from which to showcase their exploits to a global audience. Celebrating the stars of yesterday and today while creating those of tomorrow is the vocation behind the Star Sailors League, a circuit that seeks to be part of sailing tradition while making it more ‘pop’ and more attractive to the public. The SSL is modeled on the principals of tennis' ATP with an annual calendar made up of four Grand Slams and the Finals based on the Masters. At the end of the circuit the champion of champions will be crowned. In a mechanical sport where the race for technology sometimes gets in the way of the race for glory, the SSL aims for equal competition where the talent of the sailors is at the forefront and the champions become heroes that inspire new generations of sailors. 52SuperSeries video above published Dec 11, 2018: Bronenosec Project Manager Alberto Barovier answers questions about the team's new boat, and their upcoming 52 SUPER SERIES campaign. Port Louis, Grenada: Sirius, Black Sheep and Xtra Staerk have joined the role of honour for the 5th edition of the RORC Transatlantic Race, arriving in Grenada to a warm welcome and iced cold beers. Camper & Nicholsons Port Louis Marina provide centre stage for the arrivals on their Superyacht dock, and Marina Manager Charlotte Bonin keeps the beer on ice until the boats arrive. Nikoyan Roberts from the Grenada Tourism Authority also greets every boat with a gift basket of Grenadian goods including their world famous chocolates, and highly prized rum. Arto Linnervuo's Finnish Xp-44 Xtra-Staerk finished the race on the 11th December in an elapsed time of 17 days 01 hrs 40 mins and 24 secs. The all-Finnish team is on a mission to promote offshore sailing in Finland. CYCATV LIVE video replay of the 2018 Grinders Coffee SOLAS Big Boat Challenge. RORC video above published Dec 10, 2018: Henrik Bergesen's Norwegian Class40 Hydra, skippered by Tristan Kinloch, finished the RORC Transatlantic Race at 22:02:23 UTC on Sunday, 09 December in an elapsed time of 15 days 10 hrs 2 mins 23 secs. Hydra was runner-up in the Class40 Division to Catherine Pourre's Eärendil. Early in the race, Hydra was very much in contention for the class win until a rudder problem forced the team to make a pit stop in the Cape Verde Islands. After completing the race, Hydra's team received a warm welcome on the dock from RORC CEO Eddie Warden Owen and Race Officer Steve Cole. Marina Manager Charlotte Bonin greeted the team with ice cold beers and presented the crew with a basket of Grenadian goods, including rum and chocolates, courtesy of the Grenada Tourism Authority. It's been an epic race; absolutely fantastic," commented Henrik Bergesen dockside at Camper & Nicholsons Port Louis Marina. "I have had a great crew and we had perfect conditions. We had an issue with the rudders, but we came back and did a good job; we kept going and got back into second place, so I am very happy about that. After eating freeze dried food and desalinated water, the beer tastes really good. We are looking forward to some real food; barbecue chicken I think! After this race, we're well prepared for the RORC Caribbean 600 in February and it should also be great fun." CYCATV video above published Dec 6, 2018. Extreme Sailing Series video above published Dec 3, 2018: watch the highlights from another sensational Extreme Sailing Series season. See also: Extreme Sailing Series, Los Cabos, 29 Nov - 2 Dec 2018, LIVE Feed.